Life's like that. It takes some weird twists and turns to finally put you on the right road. Of course, the "right" is often the wrong for some of us.In a sequence that would have been profoundly amusing if it were not so tragic, a beautiful lady (Amala Akinneni, if you must know) looks at two coffins and tells Dulquer, "The right one is your father". "So far," sighs Dulquer, "the right one was the wrong one for me." Well, ha ha to that. Excavating humour from the innards of mortality is never easy. Writer-director Akarsh Khurana attempts the near-impossible and comes up with a film that never offends, even when it poses some serious problems of pacing. You know that the film is looking for ways to keep the journey going when there are unnecessary detours on the way. And why not? Dulquer's Avinash is a repressed, unhappy 10-5 geek who hates his bullying boss (Adhaar Khurana) and wants nothing more, nothing less, than to break out of his executive dungeon and... Well, just shoot pictures with an actual camera, not its digital doppelgangers. Here, I must say "Karwaan" seems inspired by the Netflix film "Kodachrome" where the estranged father and son (played by Ed Harris and Jason Sudeikis) take off on a road trip with a nurse after the father is discovered to be terminally ill. 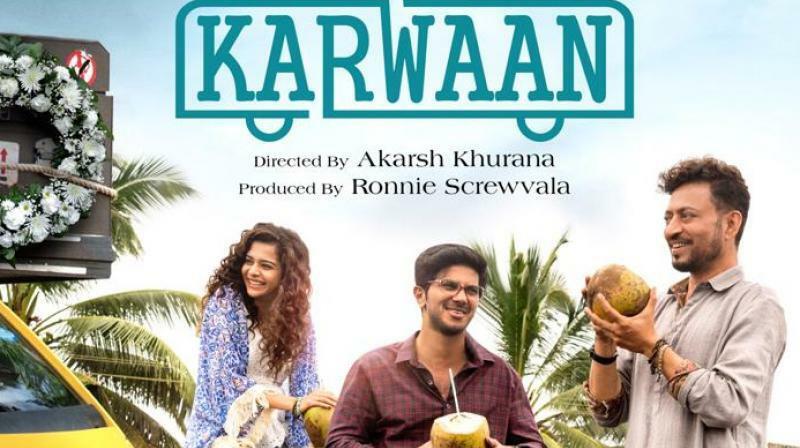 The father in "Karwaan" (played by the ever-dignified impassively formidable Akarsh Khurana) is dead when the film opens. He is also dead-set during his lifetime against his son's chosen career as a photographer. In a flashback, we see the patriarch sneer, "Learn to play the dhol along with photography you can offer yourself as a wedding package. "The repressed photographer-son's discussions on digital-versus-actual with the spunky Tanya (sparkling debutante Mithala Palkar) were also heard in "Kodachrome".Small world. But Akarsh Khurana brings his own unique worldview to the trope-centric tale of estrangement and reconciliation. 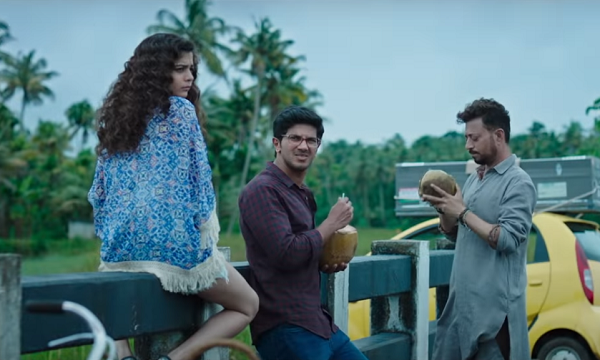 While Dulquer Salman's Repressed Executive and Mithila Palkar's Rebellious Collegian were seen repeatedly on-screen in various avatars, Irrfan's Shaukat, a Muslim wheel dealer who wears his bigotry and benignity on his sleeve with no apology and very little grace, is a unique entity. Likeable in his scumming because he doesn't hide it. Irrfan is the only actor in the world who can order a girl to cover her legs before she gets into his car, without looking like a progeny of Osama bin Laden. He has a great deal of fun with his role even when the road trip goes abysmally off-track. At one point, the three protagonists gatecrash into wedding and what follows is not at all amusing, although it is meant to be. Elsewhere, Irrfan's Shaukat makes fun of a tourist couple in Hindi, not funny at all.In my favourite Shaukat/Irrfan moment, he woos a burqa-clad woman (Donna Munshi) with Majrooh Sultanpuri's lyrics "Kitna pyara wada hai inn matwali aankhon ka" from Nasir Hussain's "Caravan".I've often wondered why that musical blockbuster didn't spell its title as "Karwaan". Speaking of music, the songs in this "Karwaan" (the one where Irrfan recalls the old "Caravan") pop up like pop-outs in a children's storybook. They just don't fit. And they annoy.The pace also lacks grace towards the post-midpoint. But while Irrfan can make gracelessness look aesthetic, the film, alas, cannot pull off that feat.The dialogues and situations too seem often too representational to fit into the authentic ambience that cinematographer Avinash Arun accentuates with such casual diligence. At one point during the journey, Tanya (Mithila) decides to get a pregnancy-test kit only so that Dulquer can debate with her on the changing value system of a society that has gone from Kodak to Instagram in a click. 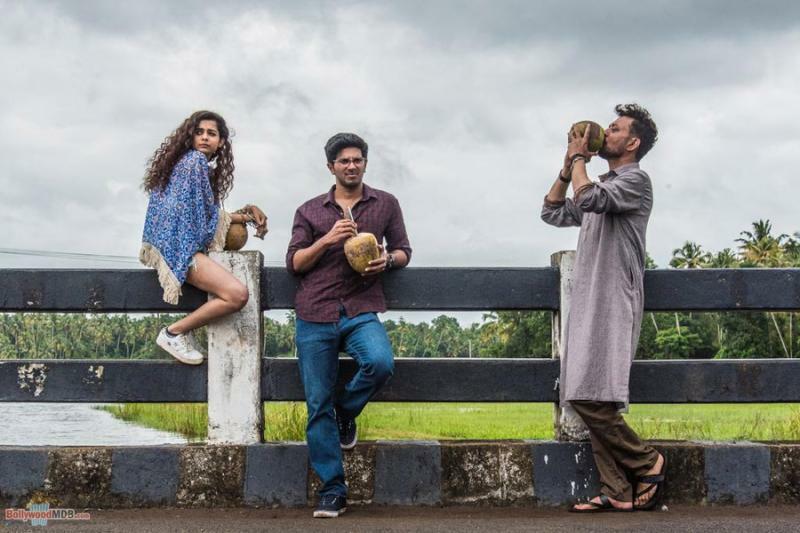 "Karwaan" has much that is wrong with it. But it also has plenty that pleases, a warmth and an empathy for the misfits that makes it a very endearing road trip, albeit with irrelevant deviations.